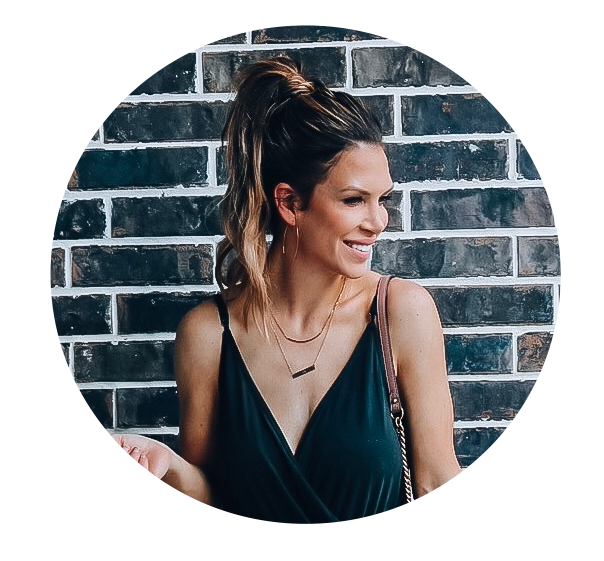 Loving Londyn: How I MAKE money while shopping! How I MAKE money while shopping! So I'm sure we have all been watching TV and on comes an Ebates commercial. I've seen them hundreds of times and always had the same thought in my head....what's the catch?!?! and never really looked into it. So last year around November my mom calls me and says "Jackie, have you ever used Ebates"
Long story short...Ebates is my new BFF. It's the ONLY way I shop now. I wish I was doing this a lonnng time ago! So thanks Mom! And no, Ebates is not sponsoring this post haha! I truly love this program and feel like everyone should be using it! I mean, who doesn't love getting cash back to shop! You can join Ebates here. And don't worry, you don't have to pay a PENNY to use their services. And Just FYI, I have the Mobile App on my phone and the Ebates Button on my computer so you can use it either way! They have over 2,000 stores that can earn you cash back! Okay so back to how it works. Let's talk mobile first! If on our phone, just click the Ebates App and search the store you are wanting to shop at. 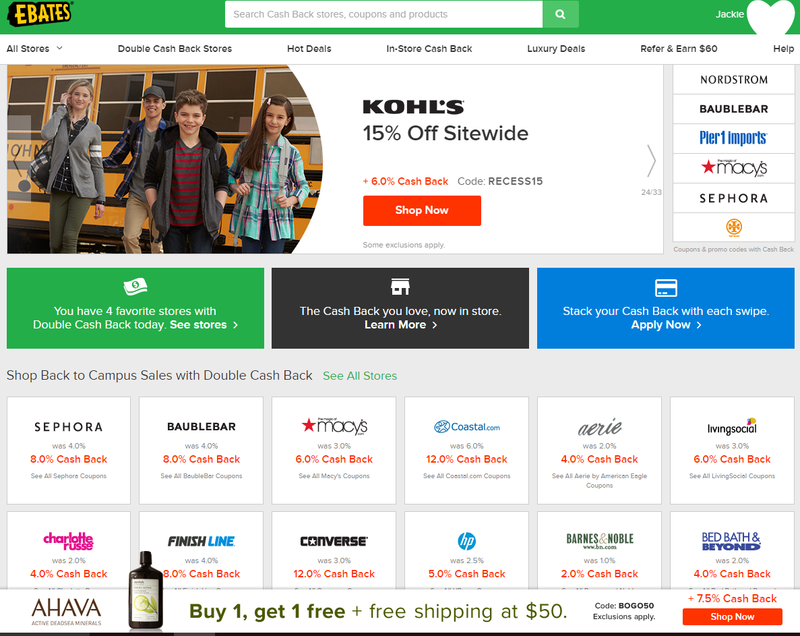 Once you find your store, click "Shop Now" to activate your cash back percentage and you will be sent to that store's website and shop like normal. There's nothing more to do. This is how the app looks on your cell phone! Seeeeee, I already have $192 cash back! On your computer, first make sure you download the Ebates Button. Once you go to a store's website, the Ebates button will pop up allowing you to activate your cash back. Once you activate your cash back, just shop like normal! Here is how it should look on your computer. Now for the good stuff! Every quarter, you receive a "Big Fat Check" in the mail / Paypal with your total cash back amount for that period. It's serious THAT easy! No gimmicks! 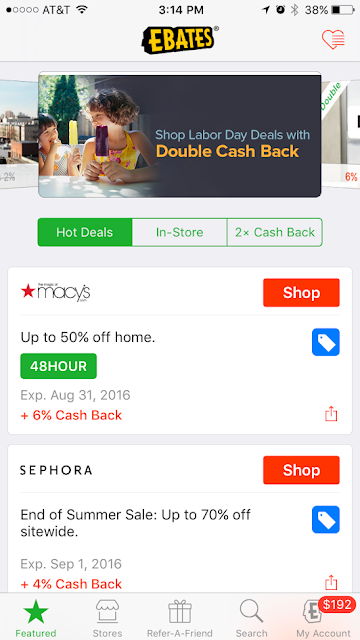 Around Black Friday and Christmas, most stores even offer double cash back. I did ALL my Christmas Shopping last year on Ebates and earned money back on items I was going to purchase regardless. I'm telling you, I was skeptical at first, but my only regret is that I didn't sign up earlier. Now I can justify to my husband why the UPS truck makes frequent deliveries to our house. haha! If you have any questions at all about it, just leave them below and I'll be happy to answer them! Happy Shopping! And it's soooo easy to use! I wish I was doing it a looooong time ago! lol! Great post! I too use Ebates. As a retail shopaholic I check the site before I buy anything online.